Worlds Worst Blaahhg: Pinstriped Bloodbath Book Release Party! 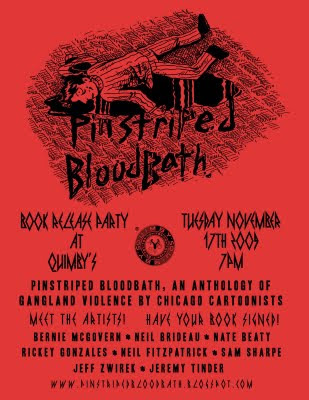 Pinstriped Bloodbath Book Release Party! Hey y'all, the big party is tomorrow at Quimby's. Come on by and get your copy of the book and have it signed by some of the artists on hand. Also have a beer, or a coke, or some general awkward cartoonists conversation.